It’s Thursday night and the Crocodile’s got a great pair of bands for you to check out: Hollerado and Free Energy. The Canadian group Hollerado plays first, and they’ve got a fantastic and honest rock sound. Their CD, Record in a Bag, is out now. On a whole web site design style aside – I think their site is really awesome too. Headlining the evening is Free Energy. This pairing is so perfect, as their sound is very rock and roll in a similar tradition to Hollerado. Recommended. Written by: Dagmar on 11/11/2010. 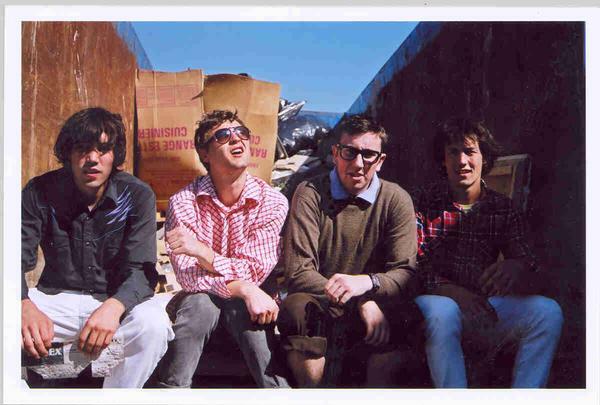 This entry was tagged free energy, hollerado, posted by dagmar. Bookmark the permalink.